For as long as he can remember, Scott wanted to be a lawyer. Not just any kind of lawyer, but a trial lawyer, someone like Atticus Finch, Abraham Lincoln or John Adams. These seemed like ambitious dreams. But Scott, who spent his childhood in the Northeast, remembered the motto of his childhood baseball hero, Carl Yastrzemski, “Swing hard in case you hit it!” Scott did just that. Scott moved to Florida in 1967, graduating in 1974 from Lakeland Senior High. He then moved on and received undergraduate degrees from the University of South Florida and the University of Florida. After getting his B.A. 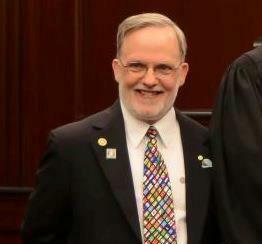 in Speech Communication, he attended UF Law School, where he graduated with honors in June 1980. Certified. He has been continuously rated “AV,” a distinction reserved exclusively to those lawyers who uphold both the highest standards of both legal ability and ethics. 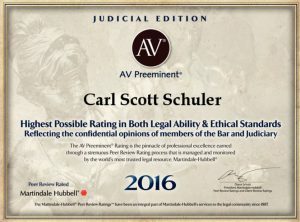 He has been named one of the Top Attorneys in the State of Florida by Superlawyers.com, and is an AV Preeminent-rated attorney per Martindale-Hubbell’s peer review ratings. But the honor that Scott is perhaps most proud of is an informal one, which is simply being known as the “lawyer’s lawyer.” This is how many of Scott’s fellow lawyers will describe him if you ask them. Scott has served as lead counsel for over 60 lawyers who have asked him to work with them on their cases, especially cases involving complex evidence and catastrophic injury. For the first 20 years of his career as a trial lawyer, Scott represented insurance companies and large corporations. During this time, Scott compiled a formidable track record of trial victories, at one time winning over 25 jury trials in a row. During this part of his life as a lawyer, Scott developed a reputation for relentless hard work, meticulous preparation, aggressive but fair courtroom behavior and top notch legal scholarship. While this work was challenging and winning cases was certainly more fulfilling than losing, something was missing. It just took Scott two decades to figure out what it was. justice. Their decisions were not based on what was the fair thing to do, or what was right or true; instead, insurance companies base their decisions on their own economic self interest. The propaganda put out by insurance company marketers: “You are in good hands,” “We are like a good neighbor,” and “We are on your side” is simply untrue. Insurance companies are on no one’s side but their own and if they are faced with a choice between putting money in their own pocket versus doing justice, they will take the money – every time. In 2000, Scott started his own law firm and decided at that time to begin focusing his practice on the representation of the common, everyday person. For the past decade he has been helping people who have been injured or harmed in some significant way, such as having their home foreclosed on, unfairly losing their job, losing the use of some important body function, or sometimes even losing their lives. Scott has served as a volunteer youth leader and supporter of Young Life, an international Christian outreach ministry, for 30 years. 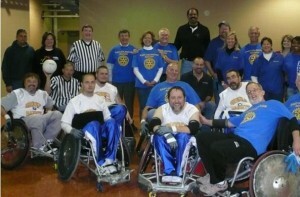 Since 1992, he has been a member of the Rotary Club of East Arlington, and spent the last several years as Chairperson of their Adaptive Sports Committee, which works with quadriplegics, paraplegics, and other catastrophically injured athletes. He has also served as the Club President. Scott is also on the Advisory Committee of Gordon-Conwell Theological Seminary Jacksonville. Gordon–Conwell was founded in 1969 by a group of Christian leaders, including Billy Graham, and has trained pastors, Christian educators and missionaries of over 80 different Christian denominations and from over 40 countries.